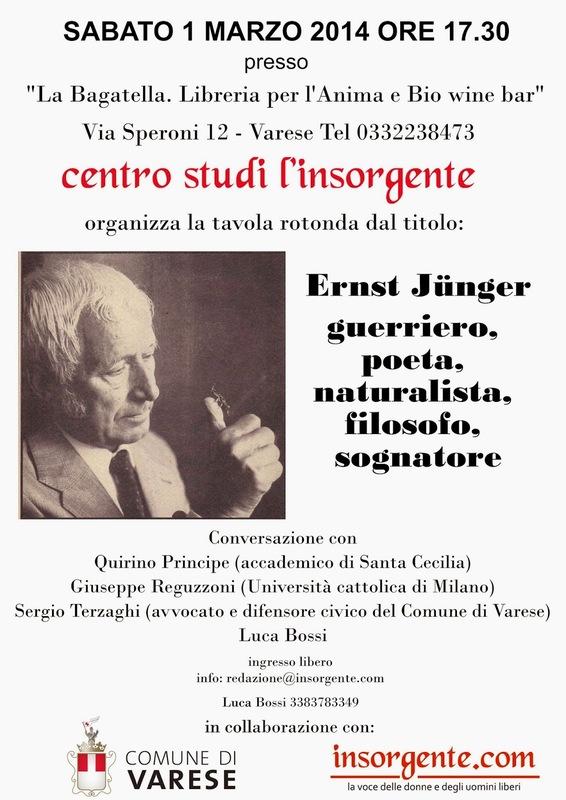 What would seem to be quite an interesting meeting on Ernst Jünger in Varese, Italy. With Quirino Principe, major translator of Jünger in Italian. Click on the image to view original. Un incontro su Ernst Jünger in Varese, tra l'altro con il traduttore maggiore in Italiano delle sue opere, Quirono Principe. Clickare sul immagine per vedere il depliant originale.